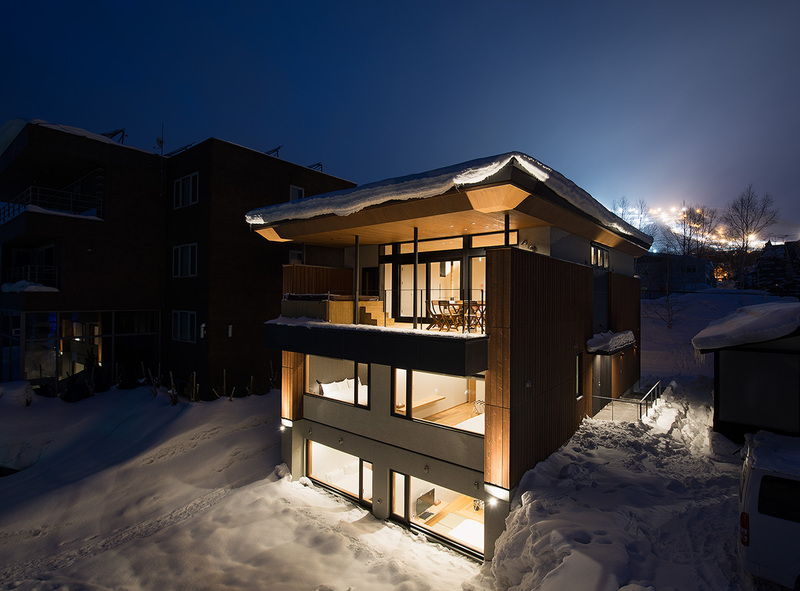 Completed in December, 2013, Kazahana is yet another impressive building amongst a long list of impressive buildings that Taiga has produced. 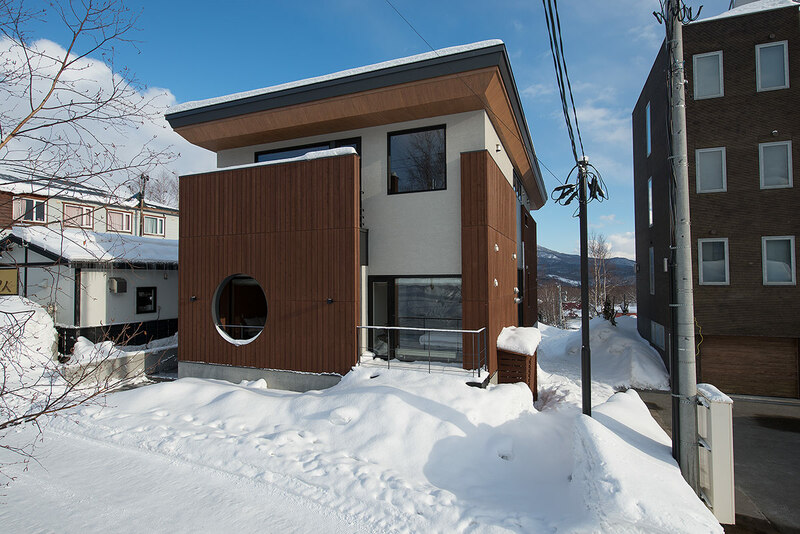 Taiga Projects seem to have a knack of developing homes that are stunning and modern, yet don’t look out of place here in Niseko. 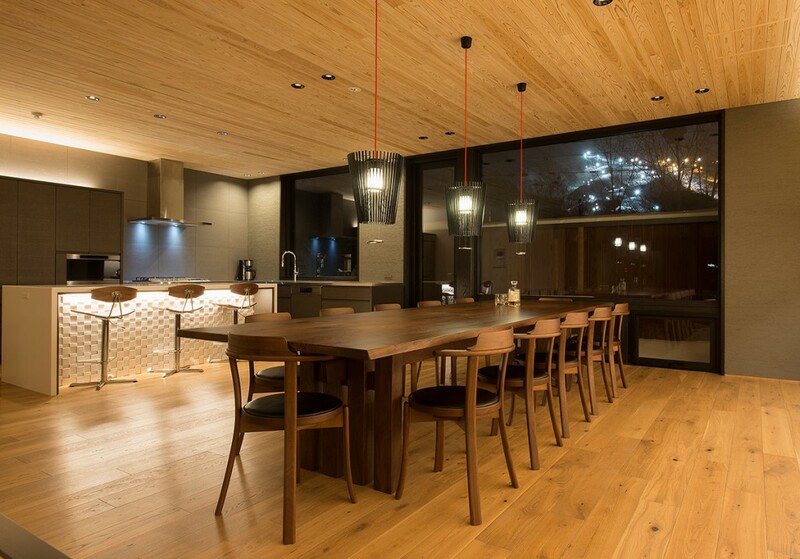 Kazahana Chalet is no exception. It has a very distinctive Japanese feel to it, utilising lots of Japanese timber, concrete and steel, all put together in a very clean, sharp and minimal manner. 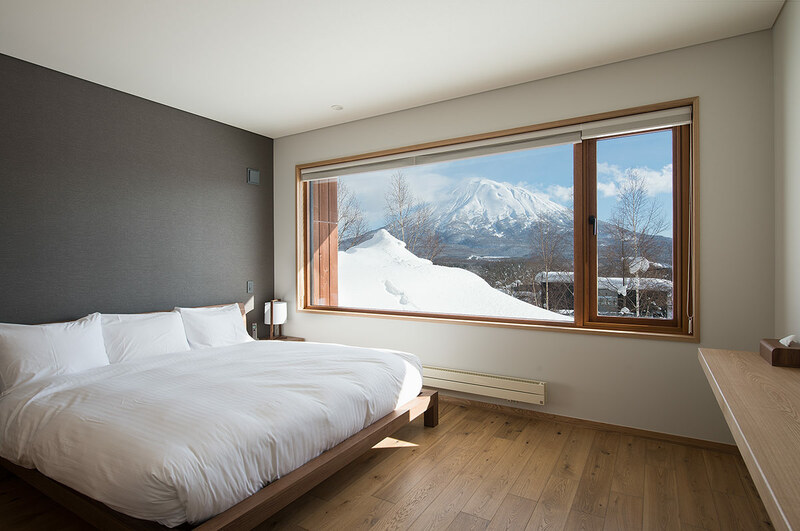 This chalet is in a highly sought after location on the exclusive Middle Village Bluff, giving it unobstructed panoramic views of Mount Yotei, as well as views up to the Niseko Hirafu ski ground. Both of which are viewable from the top floor that is devoted to socialising, either around the fireplace in the lounge or the large open plan kitchen. 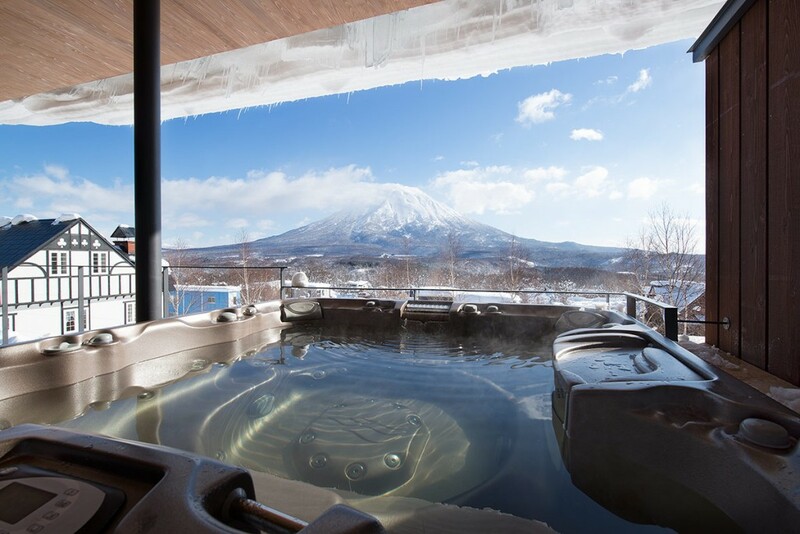 Making the most of this amazing view out over Mount Yotei, Kazahana has a large outdoor Jacuzzi. As far as places to relax, this would be rather difficult to top. It is a large property, but not ungainly so. It was designed for an extended family spanning three generations and can sleep 14 people in its six bedrooms – five of which have ensuites. 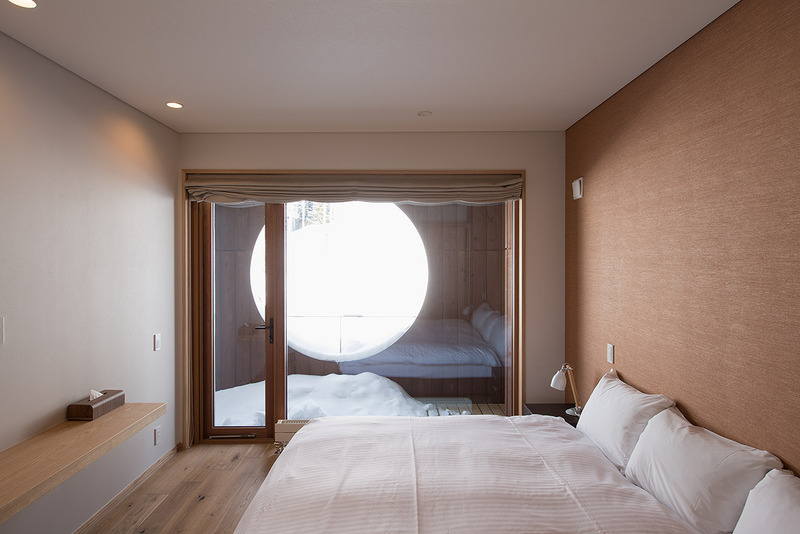 One of the bedrooms is even a Japanese style room, complete with tatami floors.